The Trump Admin’s political stunt of trying to block asylum seekers from reaching the US, even if it requires the use of force, raises serious legal and ethical questions for military servicemembers deployed for “support operations” at the border. 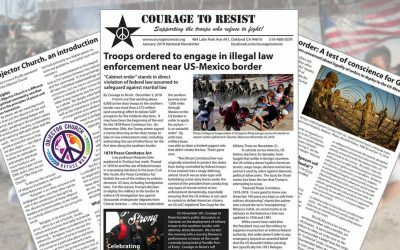 The Military Law Task Force of the National Lawyers Guild (MLTF) shares the concerns of organizations such as Veterans For Peace, Courage to Resist, and others, that US servicemembers are being given illegal orders. We are also troubled about the lack of effective legal alternatives for service members dealing with possible illegal orders and believe it is essential that members of the military are fully informed about their rights and responsibilities under the law. In this memo, we will discuss briefly some of the legal challenges that a servicemember might face when deciding whether to disobey a possibly illegal order. (3) is derelict in the performance of his duties; shall be punished as a court-martial may direct. Lawfulness. A general order or regulation is lawful unless it is contrary to the Constitution, the laws of the United States, or lawful superior orders or for some other reason is beyond the authority of the official issuing it. See the discussion of lawfulness in paragraph 14c(2)(a). Who can make the judgment call as to what is and isn’t “lawful”? (iii) Authority of issuing officer. The commissioned officer issuing the order must have authority to give such an order. Authorization may be based on law, regulation, or custom of the service. (iv) Relationship to military duty. The order must relate to military duty, which includes all activities reasonably necessary to accomplish a military mission, or safeguard or promote the morale, discipline, and usefulness of members of a command and directly connected with the maintenance of good order in the service. The order may not, without such a valid military purpose, interfere with private rights or personal affairs. However, the dictates of a person’s conscience, religion, or personal philosophy cannot justify or excuse the disobedience of an otherwise lawful order. Disobedience of an order which has for its sole object the attainment of some private end, or which is given for the sole purpose of increasing the penalty for an offense which it is expected the accused may commit, is not punishable under this article. (v) Relationship to statutory or constitutional rights. The order must not conflict with the statutory or constitutional rights of the person receiving the order. This RCM provision leaves a servicemember with a terrible set of choices. A servicemember can refuse to obey an order due to the servicemember’s belief that the order is an “unlawful” order, however, the servicemember takes this choice at his or her own peril, since the final decision of lawfulness can only be decided by a military judge in a court-martial. 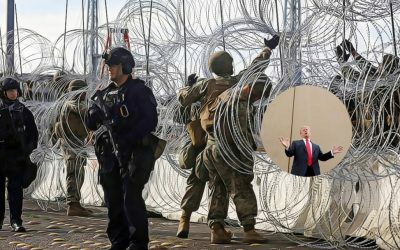 The question of the legality of border deployments has already been discussed at length by law professor Marjorie Cohn in “Why the deployment of active duty troops to the border is illegal” (Truth-Out November 19, 2018), in which she primarily discussed the federal statutory ban on the use of the military to enforce civilian laws as well as the 1951 Refugee Convention requirement that all people who arrive in the US have the right to apply for asylum. Other legal issues have arisen since Cohn’s article was released, most notably the Trump administration’s attempt to circumvent the limitations of the Posse Comitatus Act by way of a so-called “Cabinet Order” that claims to give troops the authorization to use lethal force. 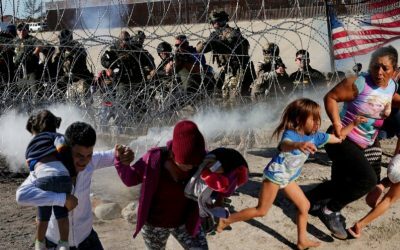 Also, on November 25, US Customs and Border Patrol agents fired tear gas canisters on civilians (including children) who were on the Mexican side of the border. While these attacks were not made by military personnel, the incident highlights the increasing likelihood that deployed US troops might be ordered to participate in similar situations (using either less-lethal kinds of weapons, such as tear gas, or live fire). Indiscriminate attacks by military forces on civilian populations are banned under Protocol I of the Geneva Convention. However, the US is not yet a signatory to protocol I, so its applicability to the current situation is in question. But, use of chemical weapons (including tear gas) by military forces is banned under the 1993 Chemical Weapons Convention (of which the US is a signatory), which would mean that any use of chemical weapons (including tear gas) would be a violation of federal law (by way of the US Constitution treaty clause). There is no easy or unambiguous answer. Servicemembers, who choose to disobey orders to deploy to the border, may face serious consequences, acting “at their own peril” that their judgment of the unlawfulness of the orders will in fact be affirmed by a military judge if they are forced to stand trial, yet those who chose to take this course will be freed from possible future prosecutions for the commission of violations of federal and/or international law, as well as the personal guilt of having participated in an immoral action in support of a racist imperial regime. Servicemembers, who choose to obey orders to deploy to the border, will not be facing punishment in the short-term, but may find themselves placed in terrible situations that will test their personal conscience and may lead to future prosecution for the commission of violations of federal and/or international law, as well as the high likelihood of suffering possible moral trauma and PTSD as a long term consequence of their actions. 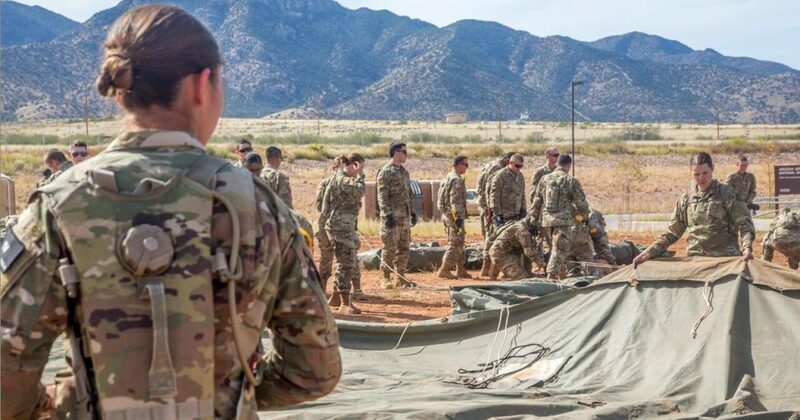 Options to avoid a deployment may be available, including finding medical, family hardship or other grounds that might show that a servicemember is not capable of being deployed and/or is eligible for a discharge. But these alternate paths to avoid deployment may be limited due to the suddenness of the deployment. And it must be mentioned that military servicemembers do have the right to report possible illegal orders through the use of (1) a congressional inquiry, (2) filing an IG (Inspector General) complaint, or (3) the UCMJ Article 138 process. And, of course, servicemembers enjoy first amendment protections for their speech to the public, subject to some restrictions based on military regulations and case law. The MLTF wants servicemembers to be fully informed as they make these serious choices and urge anyone who might be facing a future deployment to call us for referral to a civilian attorney to discuss your options. Many of our member lawyers will be willing to do an initial pro-bono (free) consultation, and if additional legal defense assistance is needed, organizations like Courage to Resist, About Face: Veterans Against the War, and Veterans for Peace, stand ready to help raise needed funds. James M. Branum is a member of the National Lawyers Guild Military Law Task Force Steering Committee and a long-time military law attorney. Reprinted with permission. Featured photo by Brandon Best/US Army.